The fellowship offers experienced business professionals the opportunity to apply their skills to create positive impact with leading social businesses around the world. Fellows work on the ground with for-profit companies or non-profit organizations with the aim to strengthen their organizational capacity and contribute to their success. March 23- 24 (Philadelphia, PA) | The Wharton Latin American Conference is coming up soon, which PiLA alum Matt Doup (Endeavor Chile 2013-14) has been planning.This year’s conference will bring together 300+ CEOs, government leaders, captains of industry, young professionals, and students under the theme “Latin America 2030: From Vision to Action.” Learn more about it here! Applications due May 4 (locations throughout U.S.) | Wyss Fellows Programprovides campaign experience and training for individuals who have the potential to become future conservation leaders. 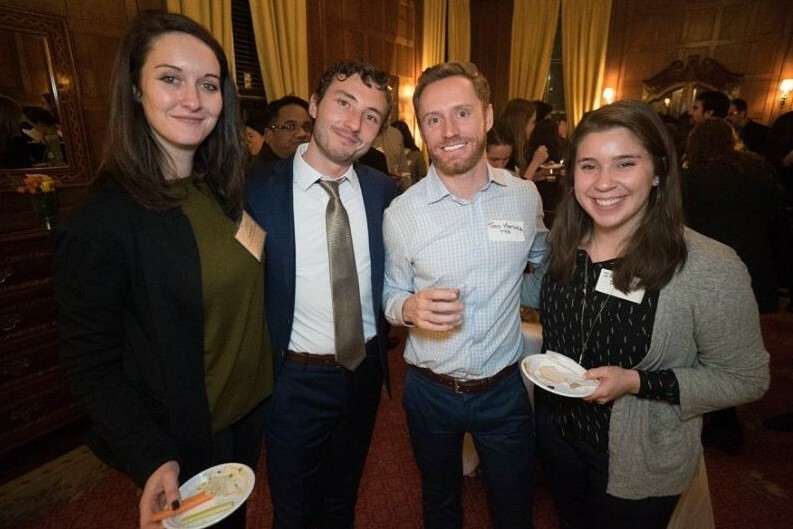 Fellows work at sponsoring organizations on a variety of projects and campaigns determined by the sponsoring organization during their two-year fellowship. Fellows must focus their work on one or more of the following areas: Oregon, California, Washington, Idaho, Wyoming, Montana, Utah, Colorado, Nevada, Arizona, or New Mexico. The Antigua International School, a PiLA partner organization, is looking for a new MS Language Arts teacher and an Elementary Spanish teacher for the 2018-2019 school year. The PiLA office is seeking a dynamic leader with strong initiative, capable of leading PiLA as we continue to strengthen our fellowship program and plan for strategic growth. The Executive Director will be the public face of PiLA in interacting with Fellows, families, partner organizations, donors, Princeton University, and others. Resident Director, Race, Identity and Ethnicity Program-- CET Academic Programs (Cali, Colombia) CET Academic Programs seeks a new Resident Director in Cali, Colombia. The Cali Resident Director is primarily responsible for CET’s *Race, Identity and Ethnicity program. The emphasis of this program is on issues related to the Afro community in Colombia. Development & Operations Coordinator -- Limitless Horizons Ixil (San Gaspar Chajul, Guatemala) The Operations and Development Coordinator will primarily be responsible for Limitless Horizons Ixil’s fundraising from institutions, budgeting & accounting, program evaluations, and building local capacity by training local Guatemalan staff and supporting them in their professional development. 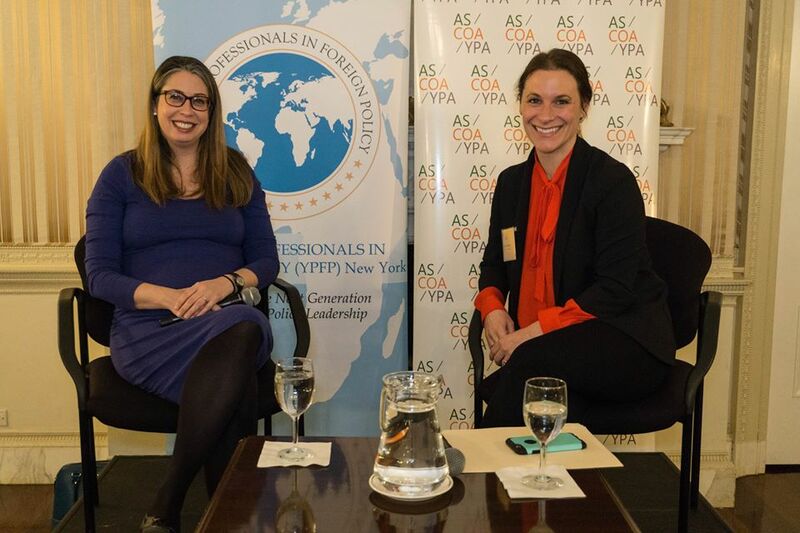 Last month the Fellows Alumni Council NYC hub collaborated with the Young Professionals of the Americas (YPA) and the Young Professionals in Foreign Policy (YPFP) to organize a networking happy hour and a conversation with Bernadette Meehan, executive director of international programs at the Obama Foundation. The event was a success! We had over 100 people in attendance between the three groups, a wonderful panel discussion and Q&A session with Bernadette, and mingling over wine and light refreshments. See below for fotos! We look forward to seeing you next month! Also, please save the date for dinner on May 9 -- details to come! The main event of the weekend will be the annual PiLA dinner on Saturday night, June 9 at 7 pm in the Louis A. Simpson International Building Atrium. This is one of the few opportunities we have to get together in person and as a community. It’s also the best chance for new PiLA fellows to meet the many people that make the organization what it is, and vice versa. Please come help us welcome this new cohort and send them off to do great work! Check out this Forbes spotlight on former PiLA fellow Philip Winters (2012-2013) and his San Francisco startup, Nebia. Check out this season's edition of Americas Quarterly. This quarter's theme: "Latin America First? A special report on the 2018 elections". Hmm, I think PiLA taught me that there are so many ways to engage in community development. I was so inspired to hear about the work the other PiLAs were doing in Nicaragua during my two years there. My time with PiLA made me confident that it’s not necessarily what you do, but how you do it that makes the difference. I’m so grateful to have had the experiences that I did, positive and negative, my time with PiLA allowed me to grow as a person. 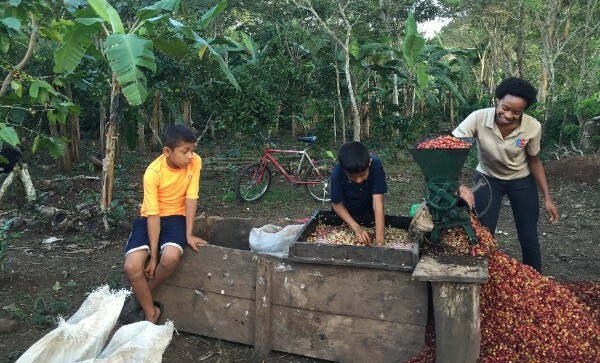 This is a tough one…if you haven’t been to Nicaragua, you should definitely go because you’ll realize every travel experience is the most memorable. Even the ride on the bus to get to the next town over can be one you’ll never forget! If I had to choose…traipsing all over Esteli and the surrounding mountains with my sister friend Grace and her mom. Not only is Esteli a beautifully unique city, with awesome murals and a hometown feel, but I got to learn a lot more about my PiLA partner in crime in the mountains that overlook the city. Amazing trip! The family I lived with during my first year. My family went through a lot during the two years that I was in Nicaragua and it showed me what it looks like to just support the things and the people you love. I miss reading books in English with my host sister. I miss playing in the yard with my host niece. My baby nephew had the most contagious laugh!!! And seeing my eldest host sister and mom just be everything we all needed them to be and more! I miss those moments. Definitely Nam Phuong. Best Vietnamese food in town. But let’s be real, you can’t really go wrong with any restaurant on Buford highway – it’s a stretch of really authentic international cuisine! Oh man! Tough question. So I was never very good at writing mission statements, but I’d say ‘To inspire boys and men to see beyond the limitations of masculinity’ and we’d operate out of Peru. I’m really inspired by the role men can play in achieving gender equity. I’d love to have PiLA fellows be able to be a part of community-based initiatives that engaged boys and young men in this type of work. Plus, I’ve always wanted to live in Peru so why not there! Question for Zoe: If you could meet your favorite Latin American poet, author, activist, actress/actor or revolutionary, who would it be and why?